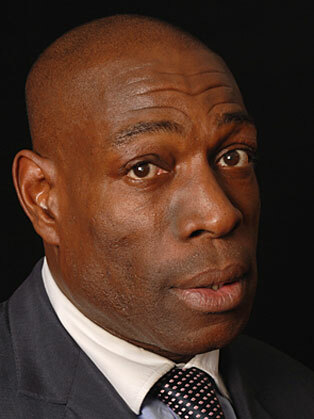 Growing up with five brothers and sisters in a terraced London house, Frank Bruno MBE starting boxing at 9 at the local Wandsworth Boys Club. Frank learnt to box more seriously while at Oak Hall School in Sussex, an establishment for 'problem' children. During his amateur career, he amassed a 20-1 career, losing to (and eventually beating) Joe Christie while representing the Philip Game Amateur Boxing Club. His amateur career culminated with Frank boxing for Young England and becoming the youngest ever Amateur British Champion at 18. Frank became a professional boxer in 1980, after twenty-one consecutive wins by knockout. As Great Britain had been starved of World champions in the Heavy weight division for the 20th century there became whispers of suggestions of this big lad from South London getting to the heights of a World championship. But there was to be a wait for a few years! In March 1984, at Wembley future world Heavyweight champion, American James 'Bonecrusher' Smith, then a boxing journeyman, stopped Franks Promised Land in its tracks when he defeated Frank by knockout in the tenth and final round of their bout, with Frank leading on all three judges' cards. This would not be the last time Frank went on to loose a contest he had been clearly winning and would have emerged victorious had he survived until the final bell. Frank got back into title contention with wins over the likes of former WBA champion Gerrie Coetzee 4/3/86 at Wembley (by knockout in round one), and, in July 1986, he challenged Tim Witherspoon for the WBA World Heavyweight Championship. After once again leading on the cards for most of the fight, he was defeated by knockout, in round eleven. The contrast between Frank and Witherspoon who appeared to be carrying a few too many pounds was all too clear too see even for a non boxing fan, but the media commented the difference was that Witherspoon worked when he had to, and did enough over the course of the fight, whereas Frank maybe appeared to be laid back when he could and maybe should have had the opportunity to go for the knockout. Frank says on the night Witherspoon was a better boxer and Franks head got in the way of Witherspoon’s fists! Frank kept winning fights, helping him to retain his spot as one of the world's leading Heavyweights. In 1993 he had a third world title chance against a young Lennox Lewis, who was making the second defense of the belt (his first of three championship reigns). Lewis beat Bruno on a stoppage in round seven, The media felt Frank needed that little extra failing to take his title chance after leading the contest on points up until what proved the final round. On 24 September 1994, Oliver McCall beat Lennox Lewis with a shock second round knockout victory at Wembley Arena, and, after outpointing Larry Holmes, he came to England to defend the WBC title against Frank. On 2 September 1995, Bruno finally became World champion by outpointing McCall over twelve rounds. The whole of the UK hailed Frank as King Brooooono. A tour through London with the winning Belt on an Open top bus brought out 100’s of thousands to cheer and wave at Frank. Franks’s reign did not last as long as champion as the country wanted with his first defense was a rematch with Tyson. Tyson beat Frank on a stoppage in round three, in what turned out to be Bruno's last bout as a professional. In 2003 Frank was diagnosed as having Bipolar disorder. His well documented illness put Frank in the public eye and he used this media attention to help with the stigma attached to mental health and to help raise the standards of care given to those suffering with mental health issues. Frank supports many charities for mental health both financially and with his time. Recently, Frank has set up The Frank Bruno Foundation, which aims to provide structured non-contact boxing sessions to build self esteem, confidence and the encouragement to succeed for those experiencing or recovering from mental ill-health. Published in October 2017, Frank's book 'Let Me Be Frank' is a very tough, honest and straight from the heart narrative that will leave audiences and readers inspired and moved. "In boxing you can see your opponent. But my illness strikes from the shadows. And it is impossible to defend yourself from a punch you can't see. Winning this battle has been the toughtest fight of my life. Now i am ready to tell you how i did it." Topic areas include motivation and inspiration, being a Champion, mental health and wellbeing, adversity, resilience, determination to name a few.